3CTechies is a global IT outsourcing and consulting company with approximately 1000+ serving clients including India, USA, UK, Canada, Australia, Neitherlands and more. We offer top edge software development services by combining our years of domain experience, professional expertise, subtle knowledge of the latest industry trends and business driven model. Our professionals caters a large range of technology services and solutions that address the IT needs of various vertical of businesses, such as advertising and media, healthcare, education, finance, tours and travels, real estate, sports and fitness, and more. Being a premier software outsourcing company in India, we ensure world class solutions in the development of computer software, mobile applications, desktop applications, business intelligence applications, domain and client software solutions, workflow application and other software development solutions to grow your business and accelerate ROI. At 3CTechies we not only develop mobile apps/games, but also ensure cost effective solutions that help in maximizing your return on investment. We ensure that our work processes deliver high quality mobile apps as per your requirements. Our expertise in delivering scalable, interactive, innovative & robust mobile apps has delighted 120+ customers in more than 28 countries across the globe. eCommerce web development and designing services have become a necessity in order to drive a huge mass of traffic on your online store. 3CTechies is a leading eCommerce development company offers efficacious and memorable eCommerce web design, theme development, shopping-cart, plug-in & module development solutions for small, mid and large-scale enterprises. Having in-depth knowledge of this fast pace growing industry, we provide eCommerce store development services on various platforms including Magento, Shopify, PrestaShop, OpenCart, nopCommerce, BigCommerce, Virto Commerce, and WooCommerce. Our highly qualified and skilled professionals remain abreast with the latest industry trends to offer up-to-date eCommerce development services. 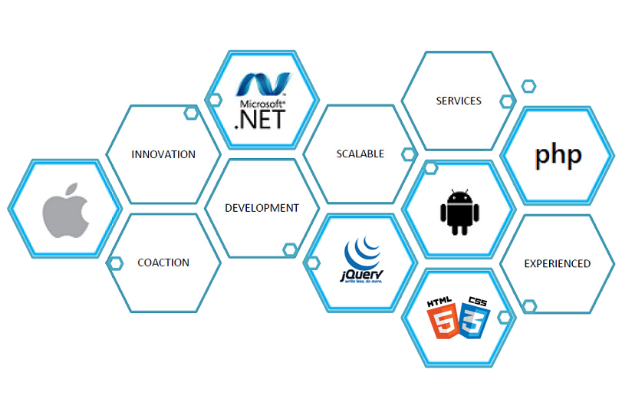 Custom software application development services includes a wide dimension of solutions encompassing, web based applications (Facebook, RIA), dashboard (Silverlight) & desktop (Mac, Windows & Dot net applications), mobile applications (iPhone, iPad, Android, Windows Phone 7, Blackberry), flash applications, flex development etc. New technologies, solutions & applications keep adding to the list of custom & bespoke solutions with the vibrant changes in the industry. You are at the finest place to Hire Dedicated professionals for all sorts of IT development needs. Being a market leader, we are dedicated to offer matchless services in website development, mobile app development, software development, game development and eCommerce solutions. We really enjoy to fulfill the need of dedicated resources that can cater customized services to our Global clients. We offer time-tested, innovative and cost-effective software development solutions that can meet perfectly with your business needs.Our business-centric approach and highly skilled professionals are always committed to provide top-notch solutions that also make our position unrivaled even in this cutting throat scenario.